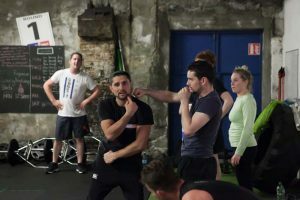 We at whitecollarboxing.ie have been shouting out the many benefits of boxing, long before the current fad of boutique style boxing studios took off. All of our coaches have real boxing experience, with hundreds of rounds & thousands of punches under their belts, both thrown & successfully defended. We have even taken one or two 🙂 . Our philosophy is very simple: to become a successful boxer, one must hit & not be hit. Learning to do so is the challenging part. That’s where we differ, we start with the basics & build from there, in a fun, friendly, safe environment (it’s not all work & no play). We never grow old of witnessing the positive changes that mastering “The Sweet Science” can bring to one’s life. The importance of strength & conditioning training cannot be stated enough. We cater for all levels and it is never too late to start. Our resident coach, Des, is the best in the business. We look at everyone as an individual and don’t work off generic programmes. Correct technique coaching is very important to avoid injury, build and maintain muscle mass and to maintain good posture. We believe in a cross training system. All of our classes are trialed & tested at HQ. We currently have 6 strength & conditioning classes timetabled per week. A great value way of getting individual attention, without paying crazy money. Keep motivated with your colleagues and friends. We will always keep it challenging, competitive and most importantly enjoyable. Private boxing lessons are also available. 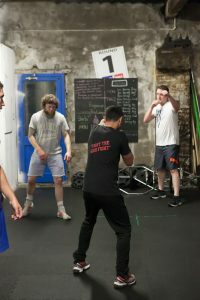 In these individualised classes we will work on everything from warm up, to cool down, with special emphasis on improving technique through pad work. People say “there are no hiding places in the boxing ring”. There are certainly no hiding places in our one to one private lessons. 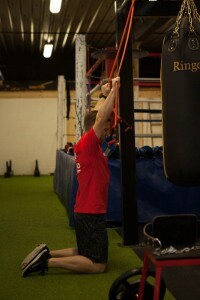 We mix technique work with conditioning training, to pack the most into your class, so you can see the results. This is a great opportunity to fine tune your boxing technique.